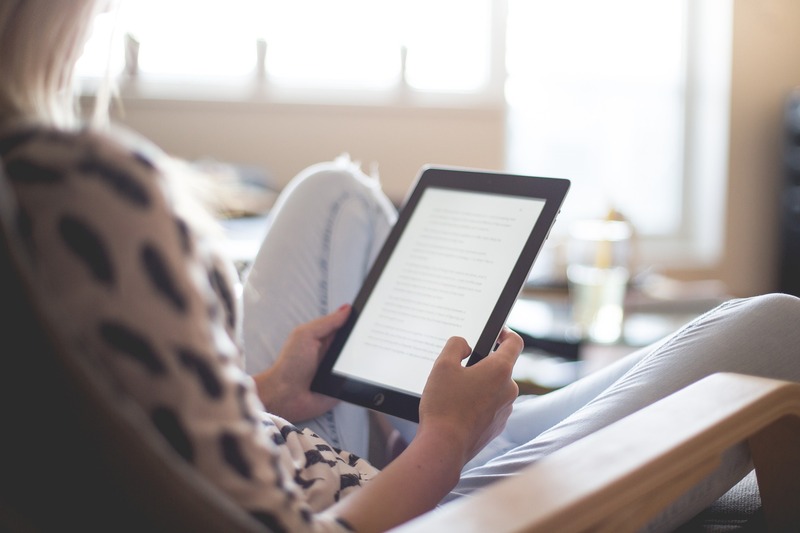 Are you reading more fiction or less in the age of the e-reader and apps and social media and 24/7 feeds? Is it easier, harder, or just the same for you to get “lost in a book”? This entry was posted in Reader Friday and tagged Kindle by James Scott Bell. Bookmark the permalink. International Thriller Writers Award winner, #1 bestselling author of THRILLERS and BOOKS ON WRITING.. You can be the first to know about his new releases by going HERE. I read almost exclusively fiction. I read much of it on my e-reader, so I’m not sure why there was the implication that e-readers cut down on fiction reading. The time I spend on social media hasn’t cut down on my reading at all. I read every night in bed. The only thing that’s made it harder to get “lost in a book” is the internal editor who started showing up after I began writing. Just so happens recent books all by well-known authors though i read new authors regularly as well. Reading inspires, informs and energizes my writing. Love it! I have a mixed answer. E-readers make reading so much easier. Until the e-reader, I never had an opportunity to carry around 700-800 books at a time and I LOVE that. it lets me read in whatever snatches I can. Provided my library’s digital loans are available and not on a wait list, I can grab & download whatever my heart desires (well, almost). However, I have less time to read–but I don’t attribute that to technology—apps and such because 1) I’m not obsessed w/my phone as so many are–it is used for talk and text only, and I do neither one very often and 2) yes, I’m on FB & check it twice a day, but that is for brief periods to interact w/significant humans in my life. I have less time to read because I have found your life gets crazier the older you get. Now middle aged, I have realized the liklihood of being able to retire is slim to none, so I have put turbo speed on the things I didn’t used to take time to do like learning to draw, paint, etc. And those things cut into reading time. But I read in snatches wherever I can–while waiting to get in at the doc’s office, while waiting for my oil to be changed, etc. Ereaders are the greatest thing since the wheel. 😎 I read far more non-fic than fic–about a 95 to 5% comparison. That probably also impacts HOW I read because you don’t necessarily have to read word for word in non-fic. I wish I had more time to read, but I don’t. I always have an audio book going on my phone for commute time. Last weekend I started blocking 30 minutes or so for hammock time on Sunday with a paperback. Dang I wish I could come to love audio books. I have tried several times but I might as well have not listened to the book at all. Without reading the words, it simply doesn’t process. And I hate it when some books come out as audio only options. I like to switch fiction and non-fiction although I prefer my non-fiction on paper, I am not sure why. I read more with my e-reader and a wider variety of fiction. My work involves watching a computer update almost every day. I always have a book in my “pocket”. My father used to carry a paperback with him. Long line? No problem. A few chapters of something were always ready. Now I have a few books with me next to Facebook. The other thing is I will take a 99 cent flyer on almost anything. Some have been good. Some should have submitted to First Page Critiques, and some… Well? Some have a 1 star from me. I have loved to read since I first learned how. I read a book every two to three days. I block off other activities in the evening after supper and devote that time to just reading. I love my ereader. Before that, it was hard to hold a print book because of job related damage to my hands. Also, I love the fact I can have tons of books with me without actually carrying the tonnage. I still read fiction, but not nearly as much as I used to. I used to devour multiple books a week. Then…kids. A lot of my reading now is non-fiction research for my book. I do have a kindle and use it a lot, especially for traveling, but I still prefer reading a paperback. For me, it’s a more immersive experience. I’m consciously trying to make time to read more fiction because it’s so important as a writer, plus it just makes me feel good. I am finding it’s harder to be totally swept away–so I’m more discerning about what I read. Social definitely eats away at your writing time and I need to be more conscious of this. More importantly for me than time, it puts too many voices in my head when I need to be listening to the girls in the basement. Unrelated but for the first time this week I learned the term “book dart” (little metal clip to mark a line in a book). I can’t believe that being a life-long book nerd, I’d never heard of this, but it’s true. Have the rest of you heard of it? I read everyday. It’s my preferred source of entertainment and we don’t watch much tv in the evenings. It’s harder to get lost in a book on my ereader these days. Too much stress so attention span is less and I dip too often into the internet so yes social media has become too big of a distraction. Interfering with reading as well as writing. Limiting now and I’ve gone back to reading mainly physical books. I’ve slowed down too and not devouring 12 books a month. I’m getting more picky and reading mainly fiction, but a broad assortment of nonfiction. I’ve never been able to read nonfiction in ebook because I like to write notes. I take notes and highlight non-fiction on my Kindle. That way I can print out a summary. I like that aspect of it. That works but I don’t remember as much but when I write it down, it gets planted in my brain.